Our review process includes a battery life performance test and we’ve put the Xiaomi Mi Note through all our routines. It runs on the popular Snapdragon 801 chip, has a 3,000 mAh battery and utilizes a 5.7″ IPS 1080p display. We’ve met various smartphones powered by the S801 platform and most of them scored about 65h endurance ratings. 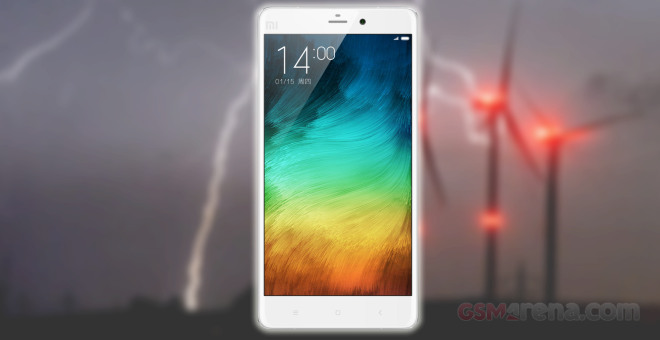 Xiaomi Mi Note is a dual-SIM device with dual-standby, but no dual-call. This means only one SIM card is active during a call. This is why the Xiaomi Mi Note posted the same results in our 3G talk time test, regardless of whether there is one or two SIM cards inside. However , you can bet that the second SIM card takes its toll on the standby endurance. The Xiaomi Mi Note did very well on the 3G talk time packing enough juice to last 14 and a half hours. This isn’t among the greatest results, but more than enough by our books. Then we ran our web-browsing script on the Mi Note’s default Mi Browser. The phablet’s battery went dead a few minutes after passing the 6 hour mark. We tried the same with the Chrome browser, but the battery endurance was the same – really disappointing for a flagship. The video playback didn’t turn out well either – the Mi Note managed to play the looped 60 min video for six and a half hours before its battery dropped down to the critical 10%. This means you will be able to watch four full length movies under airplane mode, but it is a disappointing score compared to the competition. Finally, we tested the Xiaomi Mi Note’s standby endurance with one and two SIM cards respectively. The dual-SIM endurance turned exactly half the single-SIM one. 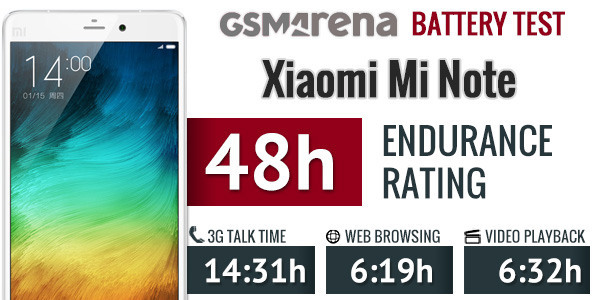 As a result, the dual-SIM Xiaomi Mi Note scored a total rating of 48h, which means you can count on the battery to last 2 days if you do an hour each of calling, browsing the web and video playback a day. 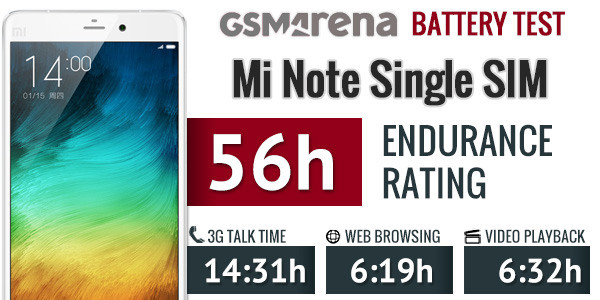 If you are to use just one SIM card, the standby time is doubled and thus the higher endurance rating of 56 hours. Our proprietary score takes into account a standby battery draw test, which is not featured in our battery test scorecard but is nevertheless calculated.